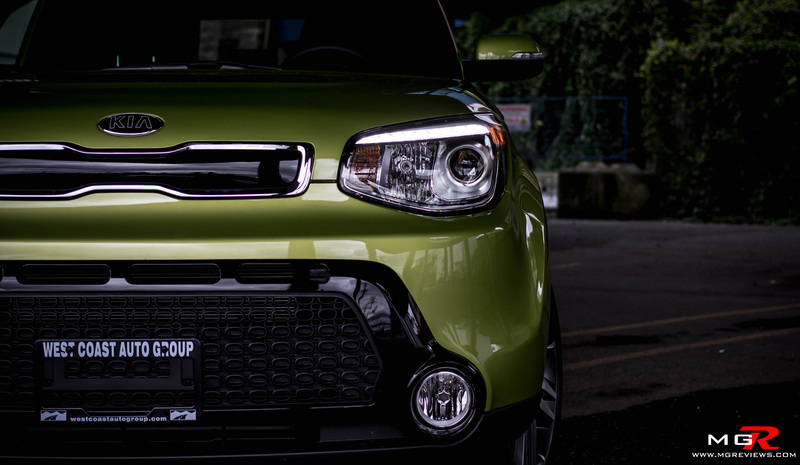 Introduced back in 2010, the Kia Soul is far from an ordinary looking vehicle. Its quirky styling makes it easily distinguishable from other dull and boring sedans and CUVs. Performance – Available for 2015 with two engine choices, this test vehicle came with the more powerful 2.0L inline-4 engine that produces 164hp and 151 lb-ft of torque. 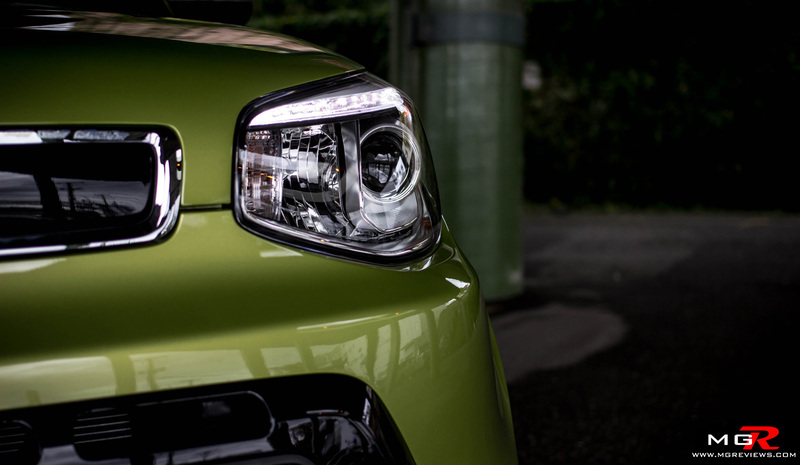 The base Soul model is equipped with a 1.6L inline-4 engine that is good for 130hp and 118 lb-ft of torque although most consumers will opt for the more powerful 2.0L engine. The only reason why someone would consider the smaller of the two engines is due to budget and fuel efficiency. 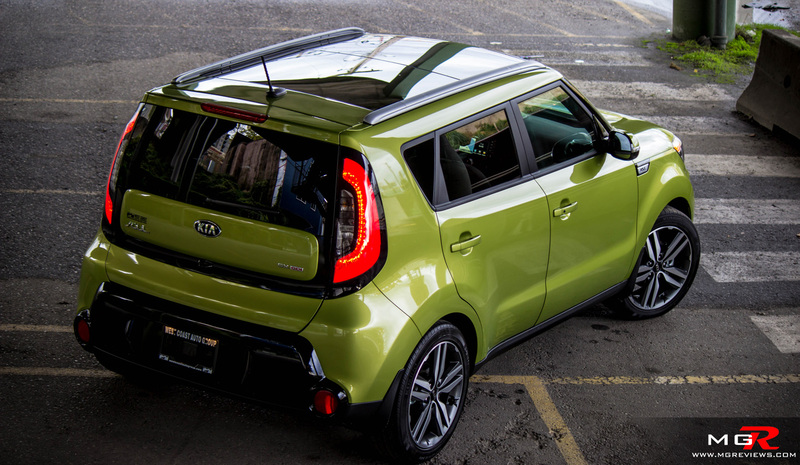 However, the 2.0L Kia Soul is just $4,000 more expensive than the 1.6L and remarkably, the 2.0L engine has a fuel efficiency rating that is just 0.1L/100km more than the 1.6L engine. 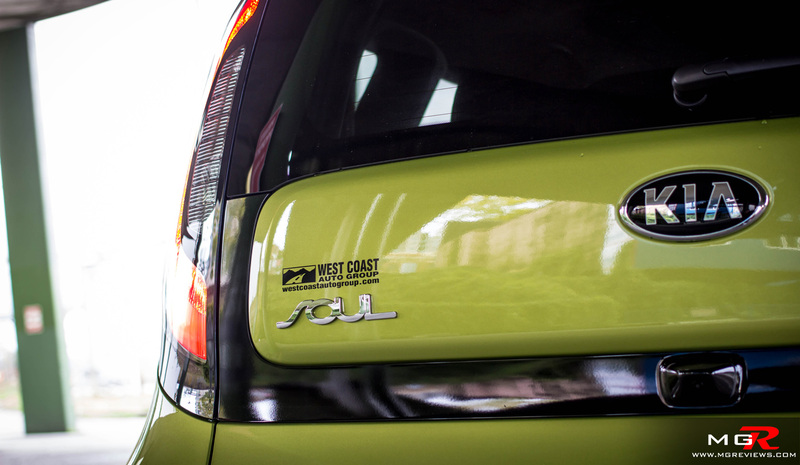 The 2.0L engine manages to achieve a fuel rating of 7.7L/100km in a city and 9.7L/100km on a highway with ECO mode on. In terms of how the car feels to drive, the 2.0L engine has been tweaked a bit since its introduction in 2010 to produce better torque at lower rpms. 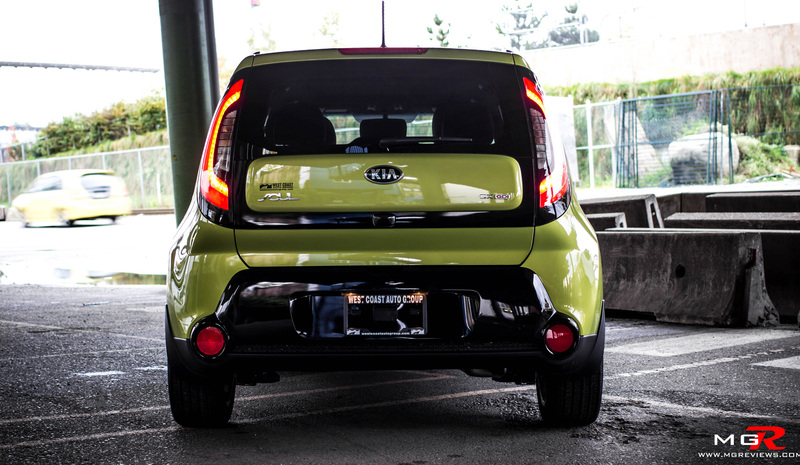 In standard city driving, the low rpm torque gets the 1400kg Kia Soul off the line with relative ease. 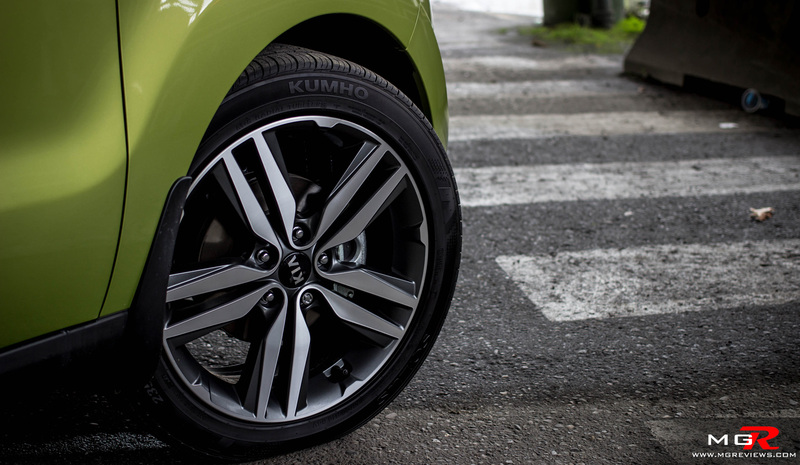 The engine never needs to spin faster than 2500rpm throughout any city driving conditions thus saving fuel. When merging on a highway, it takes a bit more effort on the throttle pedal to get the Soul up to speed. 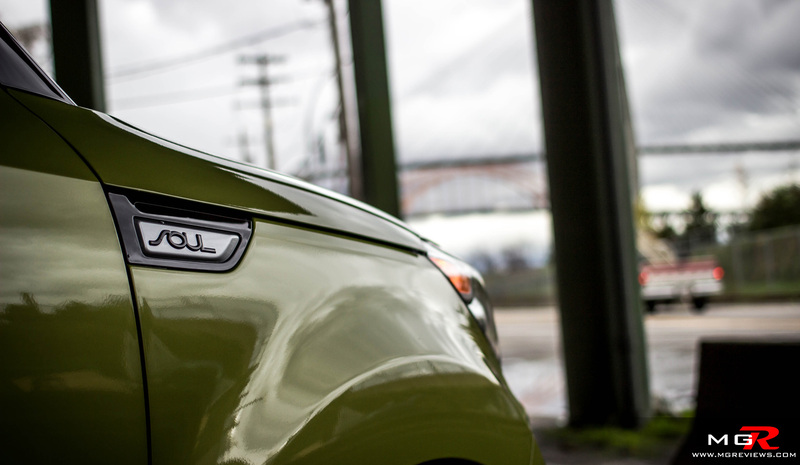 Around corners the Kia Soul feels surprisingly stable despite the tall, box-like shape. The only thing that this car could do without is the “Flexsteer” steering assist. 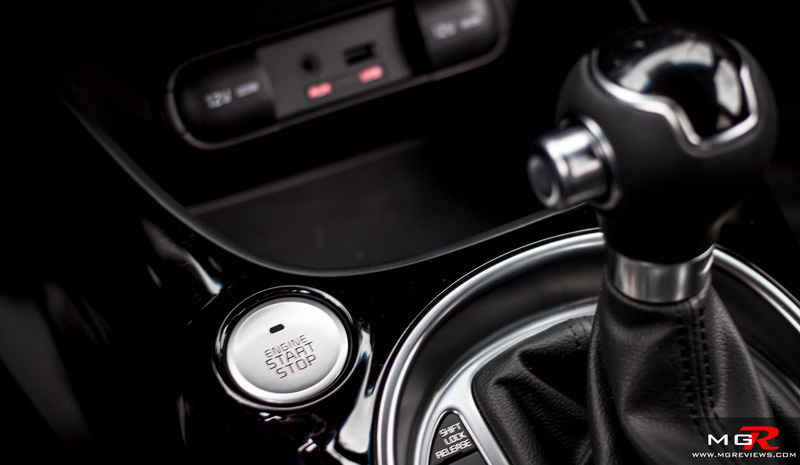 With a push of a button, it makes the steering feel light, normal, or heavy. 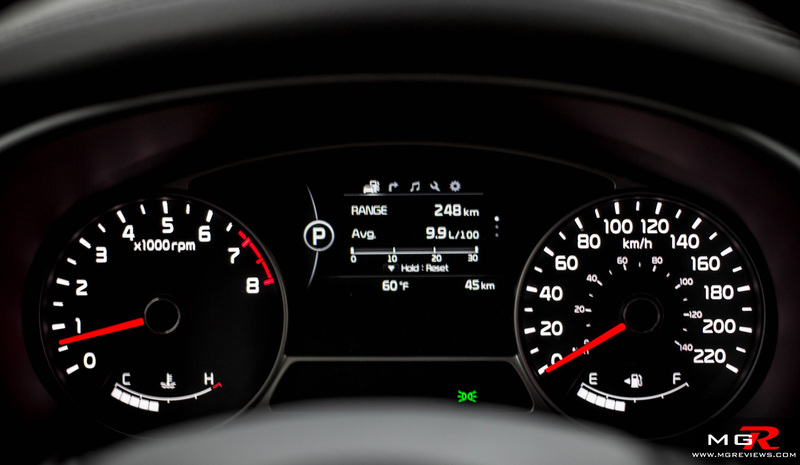 In light mode, it does help with parking manoeuvres but most cars these days already adjust the steering weight when moving slower than 10km/h. Heavy mode makes the steering feel artificially too heavy and you feel disconnected from the experience of driving the car. Most owners of this car will most likely leave the feature in normal mode so in my opinion this is just an extra feature that is not needed and it’s something else that can go wrong. 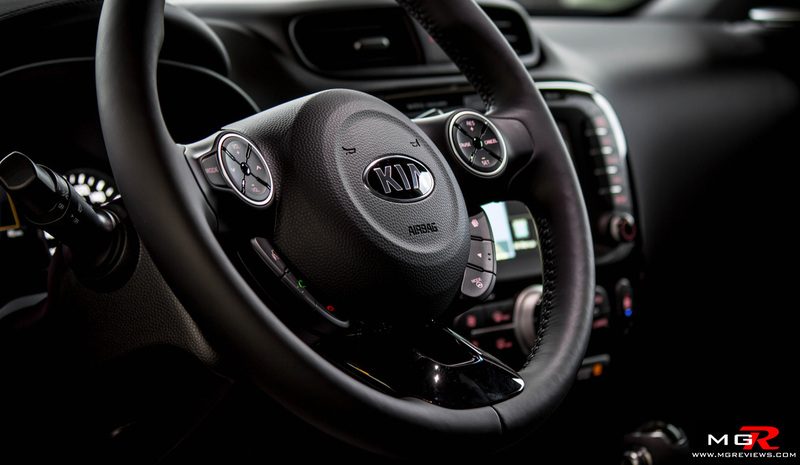 Comfort – The interior of the Kia Soul is a very nice place to spend time in. 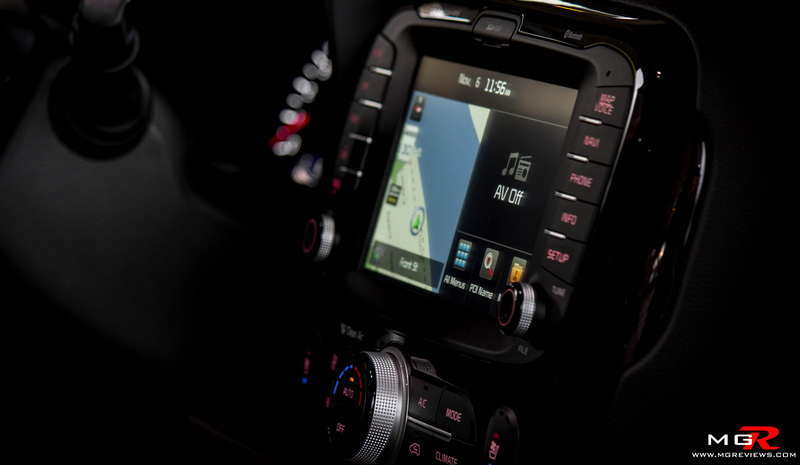 It has a lot of features and gadgets that are found in other, more expensive, vehicles and the design is very attractive. 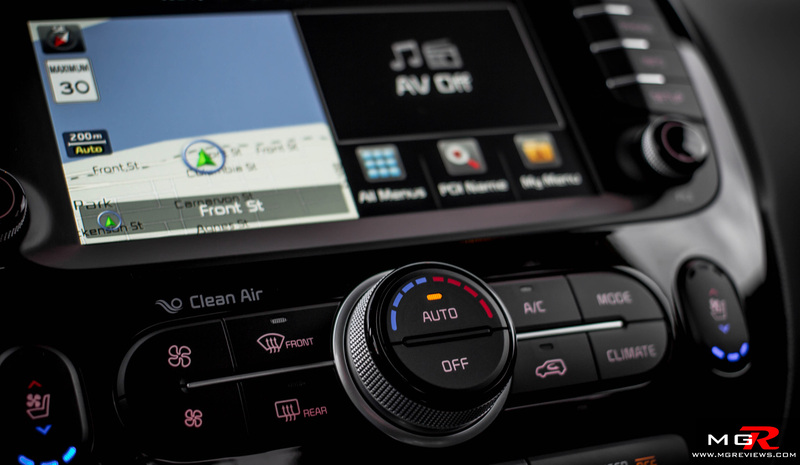 For example, the navigation and infotainment system is extremely easy to use and in addition to heating, the seats can also be cooled. 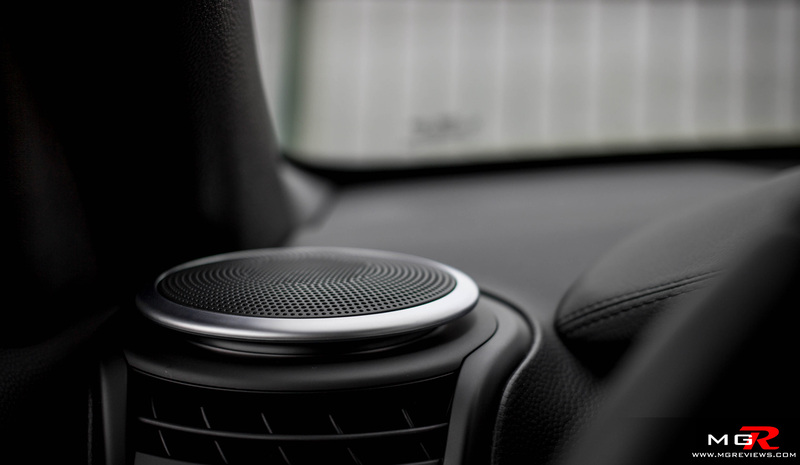 A nice feature to have on black leather seats during hot summer days. 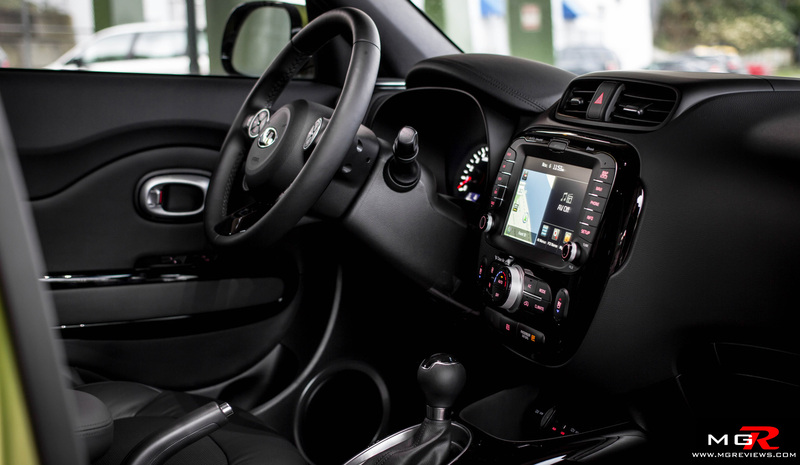 Some other interesting features found on this commuter vehicle include push button start, climate control, heated steering wheel, and an LCD screen in the instrument cluster to display various vehicle parameters. The design of the cabin well thought out and executed by the engineers. 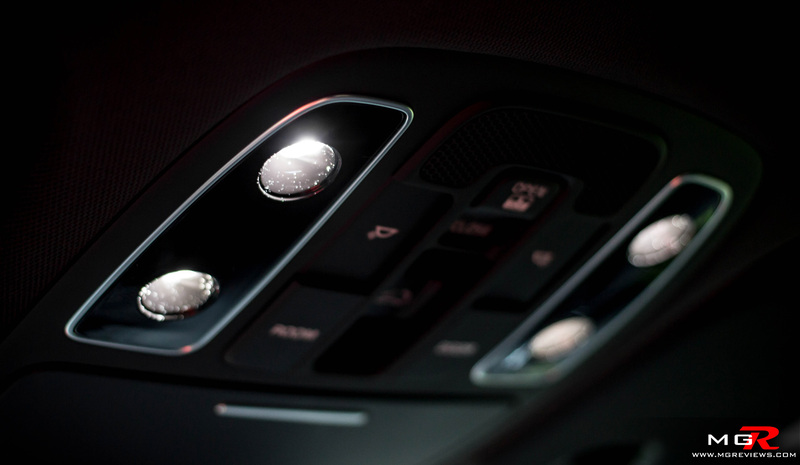 There are no sharp edges but rather everything is rounded from the design of the dashboard to the door handles. 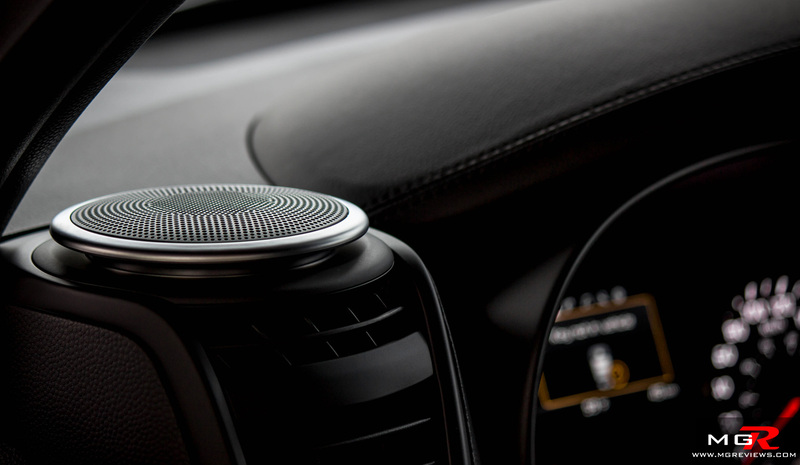 I also love the look of the front speakers that look like floating UFOs. There is also a lot of space for not only the occupants in the front but also for those in the back. Head room feels like it goes on forever thanks to the panoramic sunroof and there is enough leg room in the back seats for adults as tall as 6’5”. 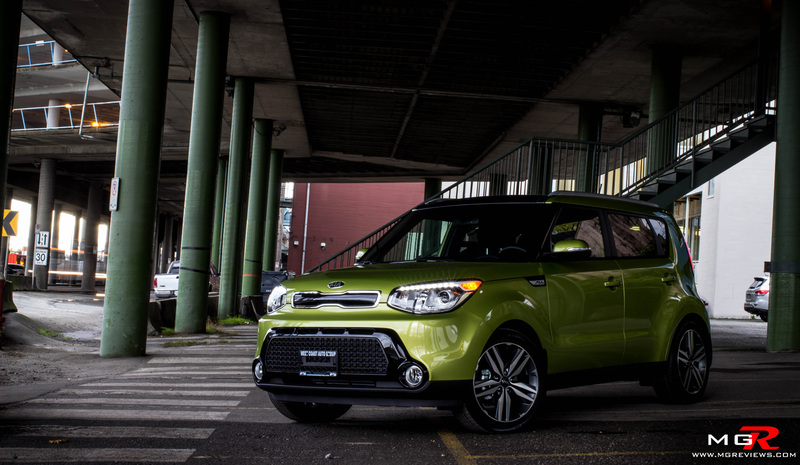 There are only a couple of drawbacks to the interior of the Kia Soul. First is the cargo space. 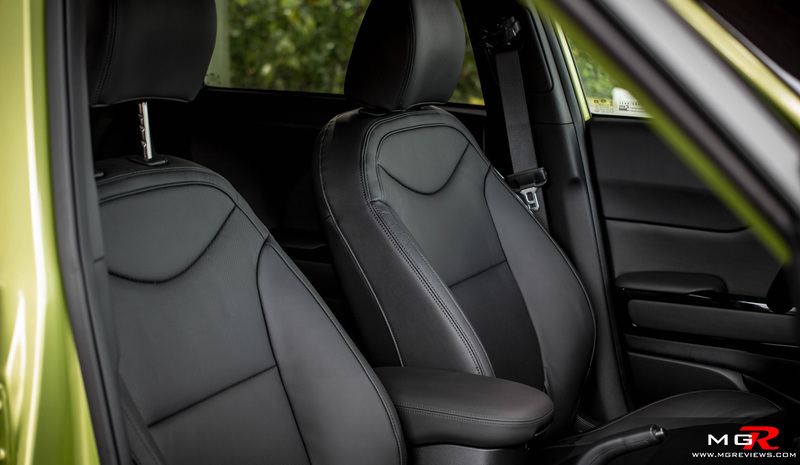 With the rear seats up, there is only 532L of space but that does grow to 1402L if the seats are folded however you lose seating positions. Secondly is the lack of insulation from outside noises. 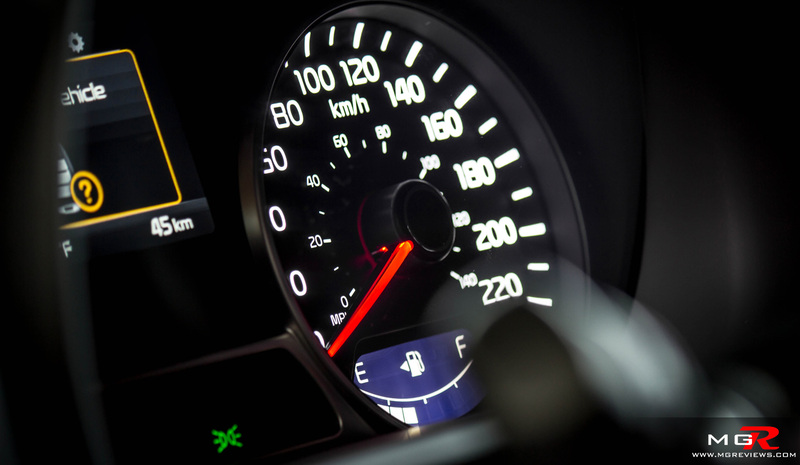 During hard acceleration or highway driving, engine and wind noises make it difficult to have a conversation without raising your voice. 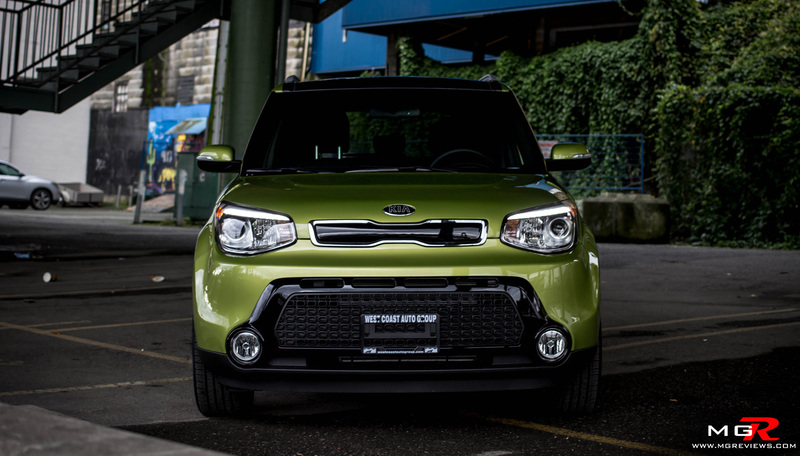 Odds and Ends – Let’s face it, the Kia Soul looks like nothing else on the roads today. The only vehicle that it somewhat resembles is the Nissan Cube, but that is a discontinued model. 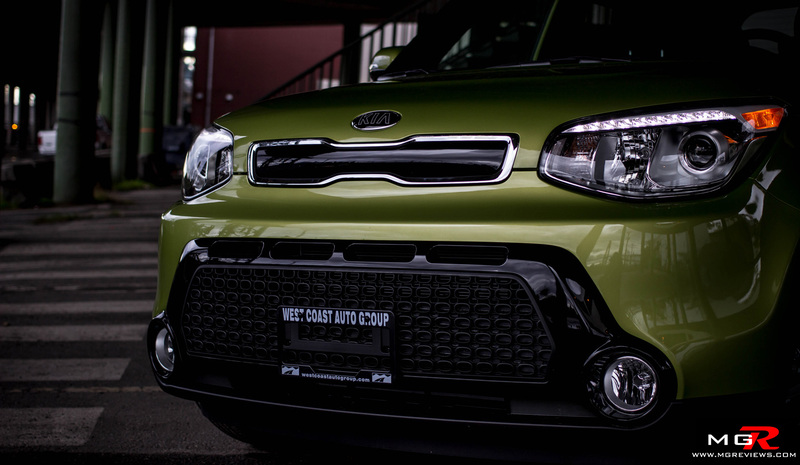 The box-like shape makes it stand out from all the other traditional shapes of coupes, sedans, wagons, or CUVs. 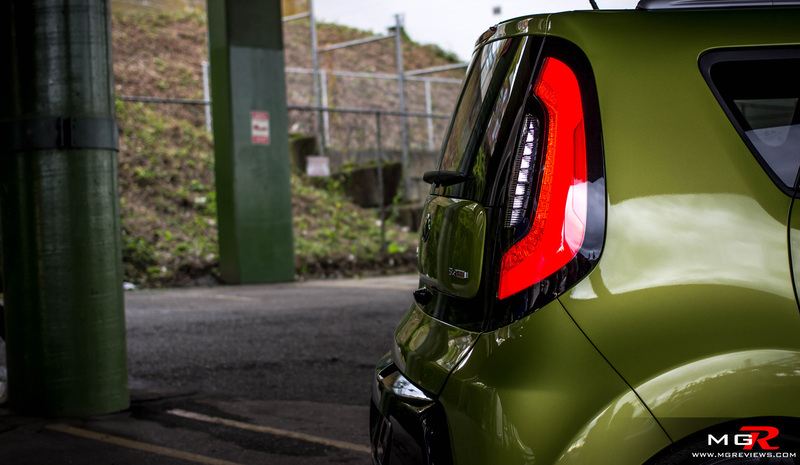 Even the “Alien” green is a colour that you rarely see on roads today. These days it seems like everyone is driving in monochrome with mostly white, silver, or black vehicles. 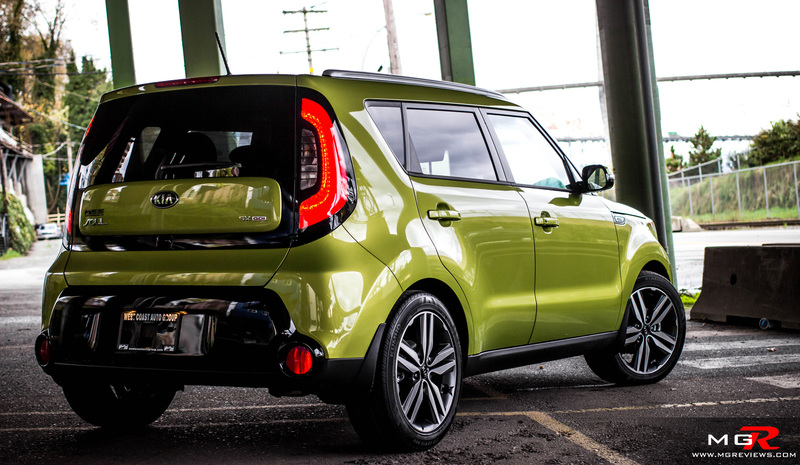 It’s nice to see that Kia is trying something different from the traditions. 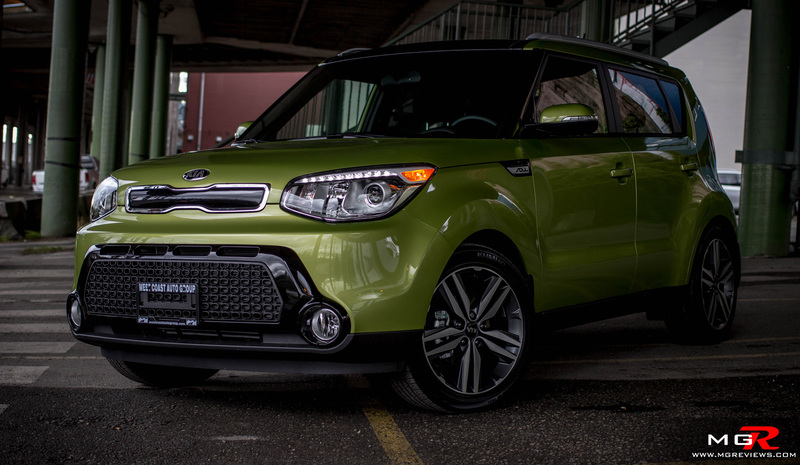 Overall this is a great car that can distinguish you from the rest. 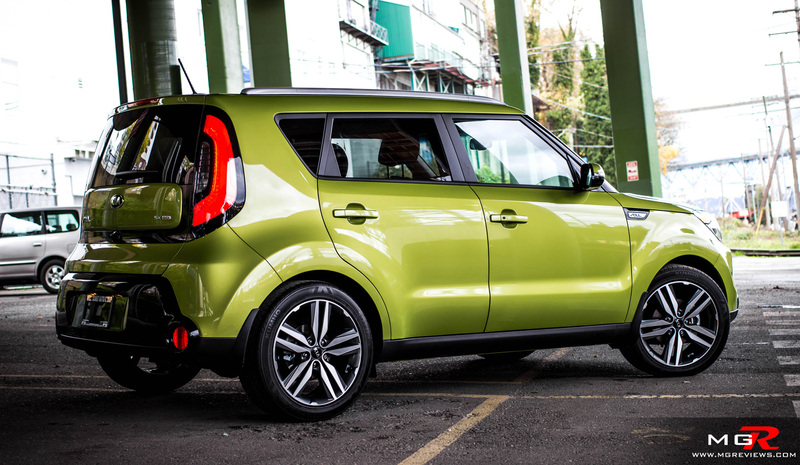 It looks and feels different than everything else on the roads but just be careful at how many options you tick off the checklist because while the base model starts at just under $19,000 CAD, it can quickly add up to $30,000 CAD.